The support document doesn't go into too much detail about the schedule to expect in the warning which now appears, only stating that it "will stop working soon." In this transition, Hangouts users are warned not to use both the app and the extension simultaneously. Without much question, this is probably associated with the general death of Chrome apps announced back in 2016 — though many Chrome apps, including the Hangouts app, have persisted longer than the "mid-December 2017" de-listing date, for some reason. Ostensibly they're no longer visible from the Web Store on Mac/Linux/Windows, but they should still work on Chrome OS. 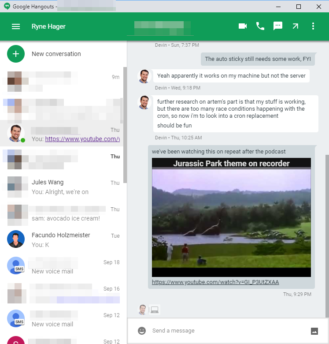 Hangouts Chrome app (left) and Chrome extension (right) on Windows. 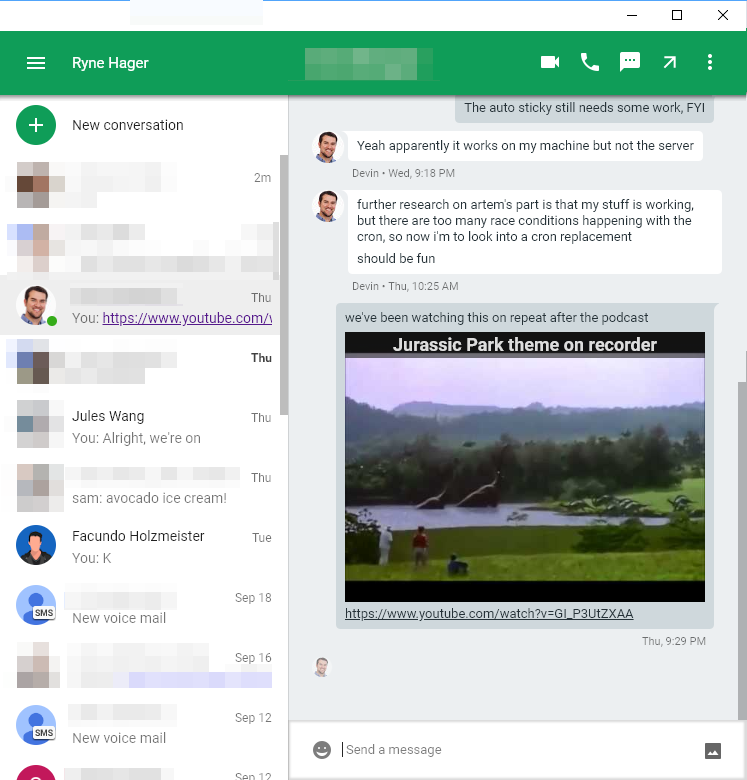 To be honest, I didn't even know if I was personally using the Hangouts Chrome app or Chrome extension. If you don't use the transparent/Chat Head UI, the distinctions between the two are quite minor, though you can see each just above. The transparent UI has a tendency to break pretty much constantly. 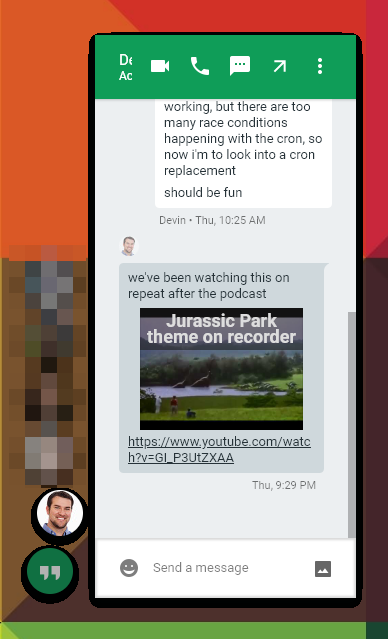 If you are using the transparent UI, though, you're using the "Chrome app" version, so you'll need to make the switch to the extension. Another good way to tell which you are using is to check in Chrome itself: The "app" version doesn't get an icon in the toolbar or in the Chrome menu, though the extension does. Hangouts hangin' out in Chrome's toolbar. 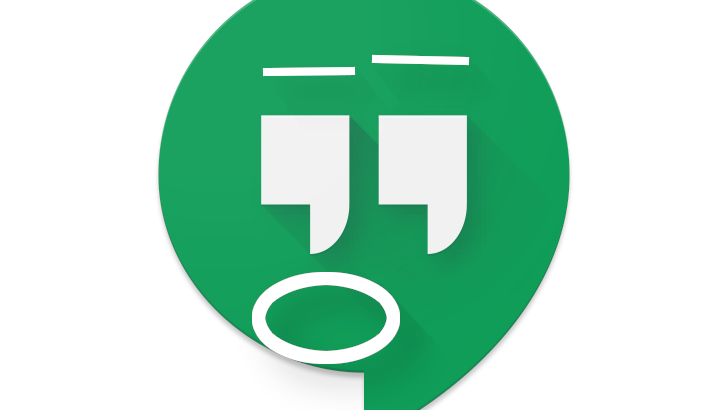 We don't know why Google seems to have decided to discontinue the Chrome app, but Hangouts has been slowly dying for years. This isn't the end of the consumer-facing half of the instant messaging platform, but it's certainly another nail in its coffin.